Do you measure the ROI of your research expenditures? If you are like 90% of insights pros, the answer is “not exactly.” Insights teams typically rely on softer key performance indicators (KPI’s) such as meeting timelines and conducting more research on stagnant or reduced budgets. However, the marketing function as a whole is getting much savvier about measuring ROI. Methodologies can include single attribution with revenue cycle projection, attribution across multiple programs, and full market mix modeling. That said, marketing management isn’t actively challenging the insights function to provide them with ROI. So, should the insights function take ROI measurement more seriously? We interview Brett Hagins, who has spent the last decade studying, writing and supporting insights teams with ROI for his opinion. 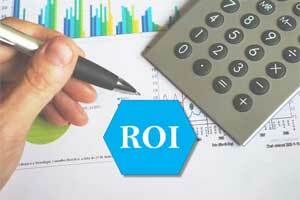 Why isn’t ROI a widely accepted and reported measure of success for the MR/Insights industry? After all, just about every other marketing-related function is subject to ROI-type KPI’s and we are a numbers-savvy group! It is difficult and inexact to isolate the net contribution from research as part of the process leading to incremental revenue, market share, cost reduction, or risk mitigation. However, it is critical to justifying budgets and staff and prevents research from descending into a perceived commodity. As an industry, we’ve managed to get along for the last 75 years without measuring ROI. So, why bother with it now? Marketing ROI is a lot more scientific now than it was decades ago and research ROI has to follow. When the IOT is truly mainstream in a few years and the distinction between the digital and analogue world becomes meaningless, behavioral measurement of all marketing activities will be constant for most enterprises. 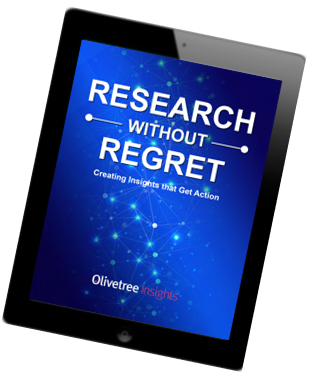 Many traditional researchers believe that survey research will always be needed because it tells us the “why.” A focus on Return on Investment means the “what” is more important than the why and if companies don’t take action on the why it becomes academic. What would you advise insights professionals do if they want to get started in ROI measurement? Start tracking baseline attitudes and decisions in the absence of research using some kind of regular process so that you can document changes or uncertainty reduction as a result of the research. Learning often seems obvious in retrospect and showing how collective thinking has changed over time which led to different decisions or reduced risk is important. What are the biggest cultural barriers to measuring ROI? Getting a commitment from senior management that research will be used to drive decisions rather than validate them is important. Insights and analytics departments must negotiate a process for decision-making independently of any specific project. How will executives go about making decisions? What are the action standards? Establishing a system for this at the outset and then integrating research as a part of the larger system is what leads to ROI. About Brett: Brett Hagins served in leadership roles on the client-side for Texas Instruments and EDS. He has been published extensively in Quirks and conducted top-rated webinars on quantifying the financial impact of research. Hagins was a top rated speaker at the Corporate Researchers Conference and his work on linking research with financial performance has been referenced in two market research textbooks. He has a Master of Science in Market Research from the University of Texas where he has served as a guest lecturer and Research Innovation and ROI, Inc. was the first company to be an approved provider for PRC training credit through the MRA. Are you interested in offering your thoughts on the marketing insights ROI topic? Email carol@olivetreeinsights.com if you’d like to participate in a Q&A article on the topic.